Softaculous is a well known auto installer application which lets users install many commonly used web applications/scripts within few clicks only. You don’t need to have system administration knowledge to install web applications like WordPress, Joomla, Drupal, PHPBB etc on Linux. It is part of web hosting control panels like cPanel, Direct Admin, Plesk etc. Softaculous Webuzo is an application by the same team, but it is designed for stand alone or non-control panel servers. You don’t need to purchase control panel license now to use Softaculous. 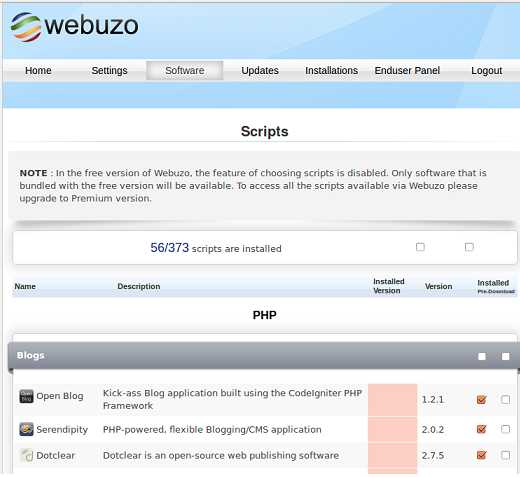 Simply download and install Webuzo and start installing web scripts. During the installation process, it sets up its own Lamp-stack and uses that to perform its tasks. Let’s see how we can install Webuzo on Ubuntu 15.04. Launch your system terminal and run following command to download the installer script. Grant executable rights to this installer file. 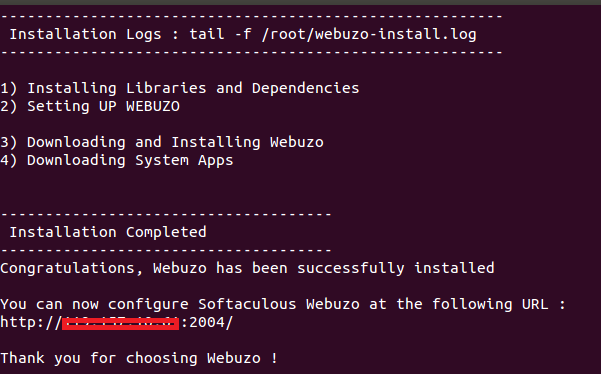 Run following command to install Webuzo. Sit tight, It will take sweet amount of time to download all required components and install them. Here is how the successful installation process should look like. Web address to launch Webuzo is already mentioned in installation summary, If you can not access the URL provided there, it is probably a local network configuration issue on your end and your public IP is being NATéd among more than one computers, simply launch http://locahost:2004 on your local system and you should see the following page. 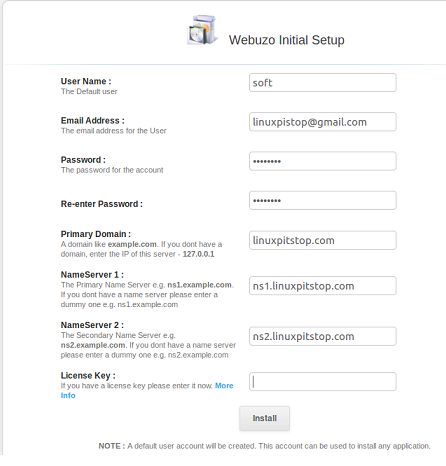 It’s the configuration page for Webuzo – here provide username, your domain name, nameservers etc and hit “Install” button. 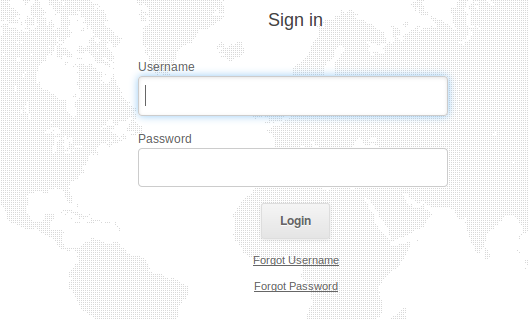 Once required configuration is complete, it will shortly take you to the Login page. Login with the username and password you specified on the last step. There you go, Softaculous Webuzo has been launched – start performing your required tasks now. Softaculous was not available for non-control panel servers ealier, but with the release of Webuzo, it has certainly achieved a next level of productivity and user base. It is exceptionally easy to install many popular online systems with Webuzo. For system administrators and web masters, its an immensely important tool.